BEST WIDGETS: IT\’S BETTER THAN THE BEST. The ultimate animated widgets for Android have arrived, and the best thing is – they\’re completely free! Set up an animated clock widget, date widget, battery widget, weather widget or a forecast widget that you can customize and resize freely. With the premium feel and finish that rivals paid widget packages, Best Widgets will blow you away! * Wealth of features: Show time, date, battery, current weather and forecast information. * Dozens of sizes: Choose from a number of dimensions suitable for phones and tablets (2×1, 4×1, 4×2, 4×4, 5×1, 5×2, 6×2) and resize the widgets freely. * Lock screen support: Display a widget on your phone\’s or tablet\’s lock screen (available in 4×2 or 4×4 on any device that supports lock screen widgets). * Full theme support: Download widget and clock backgrounds, change weather and battery icons, apply custom fonts and colors. * App shortcuts: Tap on the date and time to open any application you choose. * Customizable formats: Easily change the time and date formats and weather units. * World clock: Show the local time for any location you want. * Easy to access: Simply tap on the weather information on your widget to get a detailed overview of the current conditions and see the latest four-day forecast. * Informative: Quickly get the latest hour-to-hour and day-to-day forecast along with awesome weather graphs. * Sleek and simple: Select between three awesome-looking weather screen styles – realistic (with weather condition animations), minimalistic (with graphics that react to the time of day) and wallpaper-based (looks amazing with live wallpapers!). * Share-friendly: Easily send the weather forecast to your friends via e-mail or social networks using the built-in share functionality. * High-quality graphics: Get widgets that look crystal clear on modern, high-resolution screens. 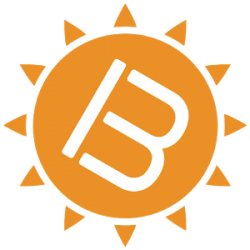 * Light on system resources: Save your device\’s battery life and memory with our optimized time and weather update processes. * A joy to set up: Use our simple yet gorgeous Material Design interface and get a beautiful widget in a matter of seconds. * Easy weather location selection: Use the device\’s sensors to determine the location, or set it up manually. * To see how to set up your widget, tap on the Best Widgets icon in your app drawer and take a look at the included video tutorials. * Feel free to contact us using the support e-mail (support@naissusworks.com) – we\’ll be happy to help! * Best Widgets uses Google AdSense to display ads, and does not collect or share your personal information with other companies. * Best Widgets requires a limited set of permissions which are exclusively used for automatic location functionality, weather update service and theme storage. * Best Widgets may experience time freezing or weather update issues if you use task or battery manager applications. To avoid this, make sure you whitelist Best Widgets in these programs. * Best Widgets will not work if it is installed or moved onto the SD card.